The earlier than anticipated onset of successful, fairly affordable, long-range electric vehicle (EV) demand has caught both battery manufacturers and car companies by surprise — even the most bullish of car companies. 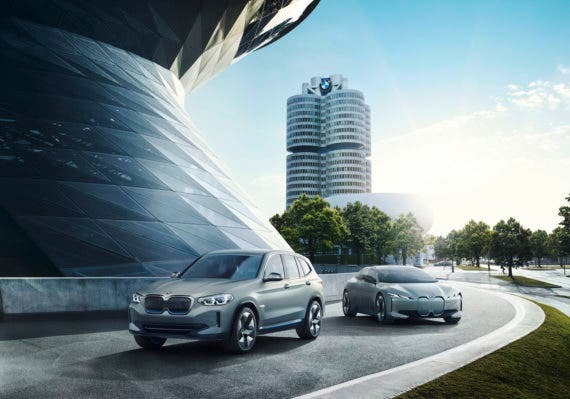 Carmakers like GM, Renault, Hyundai, Daimler, BMW, and VW have all seen demand exceed capabilities and expectations, and battery shortages are evident. As an example, in 2017, Hyundai encountered unanticipated demand for the Ioniq EV and was unable to satisfy the demand. But the lack of production capacity was related to a global issue, not just a Hyundai issue. The problem was Hyundai didn’t have enough batteries because LG Chem didn’t have enough batteries. What seemed to be admission of the main cause was leaked in a company memo. The bulletin was originally posted to the IoniqForum.com website on April 21 by user “LLcoolB” from Ottawa, Ontario: “Over the 12 months since sales of the Ioniq Electric in the United States began in March of last year Hyundai sold only 544 of the cars despite an apparent backlog of pre-sale orders. “Now, a premature ordering halt has been announced in a sales bulletin to dealers due to a Hyundai ‘temporary global battery supply shortage’ apparently from their battery supplier, LG. While battery production volumes eventually ramp up, the increased demand results in delivery delays, as Norwegian customers have experienced with the Kona EV, with its rapid popularity. There is financial risk in battery factory investment. There is also risk in being unable to access battery cells. Failing to have their own battery factories and expertise puts EV makers at a serious supply, cost, and battery performance disadvantage compared to those with secured battery supplies. Early EV entrants like Nissan, Renault, and Tesla have some advantage with existing battery supply volumes already in place. Renault and Tesla have been able to obtain increased production because of their existing relationships with cell makers. Rather than invest in a particular chemistry, the issue is investing in a factory (or factories) so that supply is not in competition with other EV makers. That’s crucial at this stage, as long as battery demand exceeds supply. The risk in factory investment as opposed to battery technology investment is not that great. Battery manufacturing processing is similar for NMC, NCA, and other existing lithium cells. Keeping up with technology is a matter of R & D. Tesla does it with an exclusive arrangement with a battery expert, Jeff Dahn, an NMC original patent author, who leads chemical research at Dalhousie in coordination with Panasonic experts and by continuously sampling and monitoring new technology cells. That way, Tesla is not at the mercy of battery company expertise. The battery design process is multifaceted. There are tiers to the process. Battery companies source separators, cathode and anode materials, and electrolytes from various providers. All of these are aspiring to become the preferred materials providers. Components come from companies like BASF and 3M, as well as more niche companies. Initially, those companies developed battery types like NMC as a means of selling the components they produced. Those cell designs are licensed to battery makers like LG and many others, with Argonne and 3M being NMC patent holders. Some cell designs originated at universities, like Goodenough’s LiFeP chemistry, and are also licensed. Jeff Dahn and Dalhousie University are familiar to those following Tesla, and they have an exclusive arrangement. A cadre of different companies exist at different levels, licensing proposed battery designs and materials. But a key factor in the industry is that they don’t generally own factories themselves. The design team sells or licenses to battery factories. Owning the world’s single largest EV battery factory and having the highest product demand are two major Tesla advantages. The company can choose any new tech that develops and work it into the factory. Most important of all, they have the volume demand that justifies it. Other automakers don’t have battery factories that compare to Tesla’s and don’t have the same level of consumer demand for their electric vehicles. Because Tesla is so large, companies are continuously submitting samples to the company and are competing for its attention. Naturally, they want to sell or license to the biggest customer. On the flip side, Tesla is an EV leader in part because it innovates and leads on batteries. No ICE company would dream of outsourcing engine expertise. Outsourcing core competency is the door to extinction, unless it’s used as a stepping stone to capturing that competency by admission to the market. Investing in a particular set of battery tech is where Daimler got burned, not in owning a factory. They lacked the volume and expertise to make it profitable and to properly develop battery technology. It was too small, too early, too expensive. The large conventional auto companies invested in a succession of failed technology, GM with Envia, Daimler with Li-Tec, and Nissan to some degree with AESC and the NEC joint venture, whose plans to sell the unit to China’s GSR were cancelled. When Daimler failed with Li-Tec, Daimler incorrectly concluded that having a battery factory was not the way to go. The real reasons they failed were that they lacked both expertise and volume demand, and chose the wrong technology, not because they had a factory. They still need the expertise, and need to make compelling EVs with volume demand, and need to figure out which cell technology is best, but now they are at the mercy of all their competition — which bids for the same factory output and may delay shipments to Daimler, thus limiting EV volumes. Daimler, BMW, VW, Nissan, Renault, as well as various Chinese electric car and electric bus companies are in competition for cells from CATL. Standard business concepts dictate a drive towards obtaining the highest volumes in order to lower costs and beat competition. Getting ahead in the drive toward greater volume works in both directions, with winners winning even more and losers losing faster. The road to battery success may not be easy, but history provides us examples of failure and success. The model for success is shown with Tesla. Carmakers must enlist battery expertise and partner with a battery company in an exclusive arrangement where they benefit from factory output. Failing to do that is like a conventional car company failing to own an engine factory or have any significant internal combustion expertise. That would be unthinkable. The situation is summarized in the following statement from a VW exec. 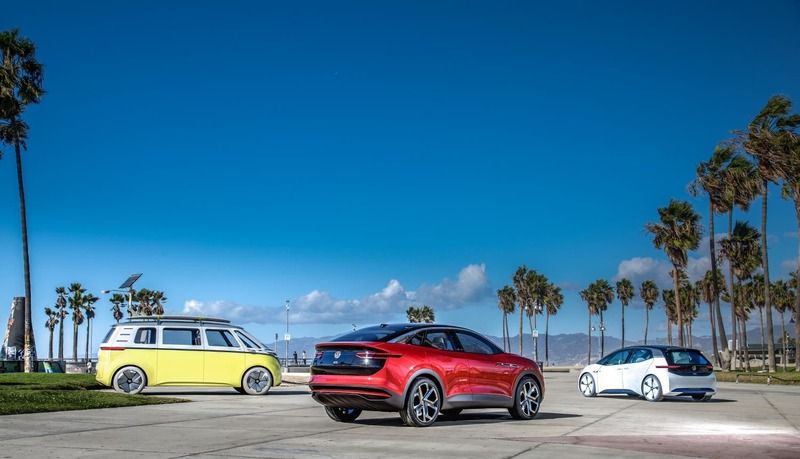 “Quite frankly, if we compare ourselves today with Samsung and LG they are light years ahead of us,” VW Group’s Thomas Sedran, head of global strategy, said. Conventional car companies are in a quandary, where the only sources for batteries to compete with Tesla are companies like LG Chem, SK Innovation, CATL, and Samsung SDI, which are just beginning advanced NMC 811 production over the next year. It seems that only Tesla figured EVs would be successful this early and planned ahead to build a gigafactory to supply the vast amount of cells necessary to build the large numbers of electric cars consumers want. 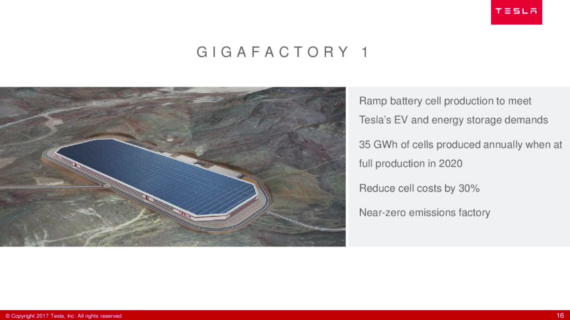 Even Tesla has to expand its battery factory size and efficiency by 3× to fulfill demand for both storage and EV batteries. The original plan was for 35 GWh for cars and 50 GWh total. The updated plan is for about 100 GWh for cars and 150 GWh total. Tesla also throws in a bit of fun, as is typical of the firm and quite appreciated by consumers — who also like to have fun. Tesla’s current rate of production of 75 kWh packs for the Model 3 is equivalent to 23–24 GWh annually. This production level is expected to rise as Gigafactory 1 is completed.